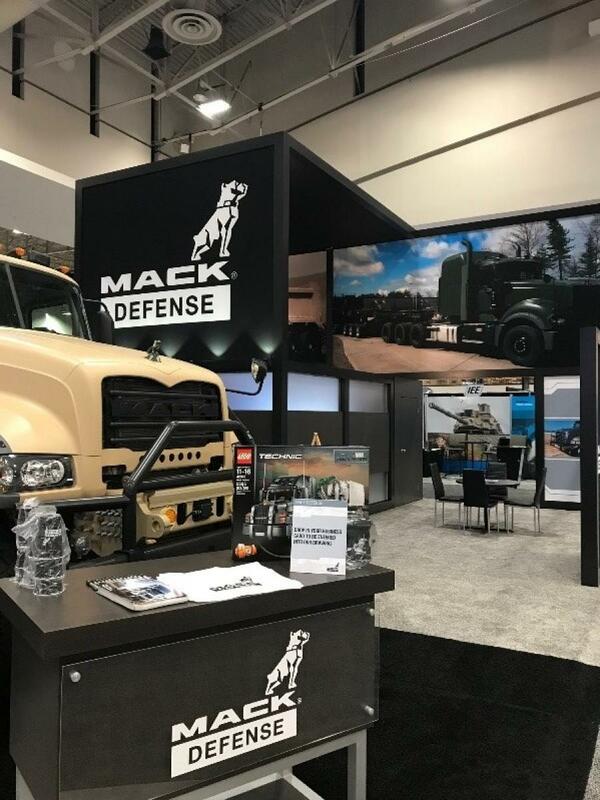 Mack Defense recently showcased the Mack Granite-based M917A3 Heavy Dump Truck at the Association of United States Army 2018 show. "The M917A3 is a great example of the capabilities Mack Defense has to develop solutions for military customers," said David Hartzell, president of Mack Defense. "Using the rugged Mack Granite as a foundation, we were able to engineer the M917A3 to meet the U.S. Army's challenging applications." Based on the civilian Mack Granite model, Mack Defense optimized the M917A3 HDT to meet the current needs of the U.S. Army, while allowing for evolving requirements and future growth. 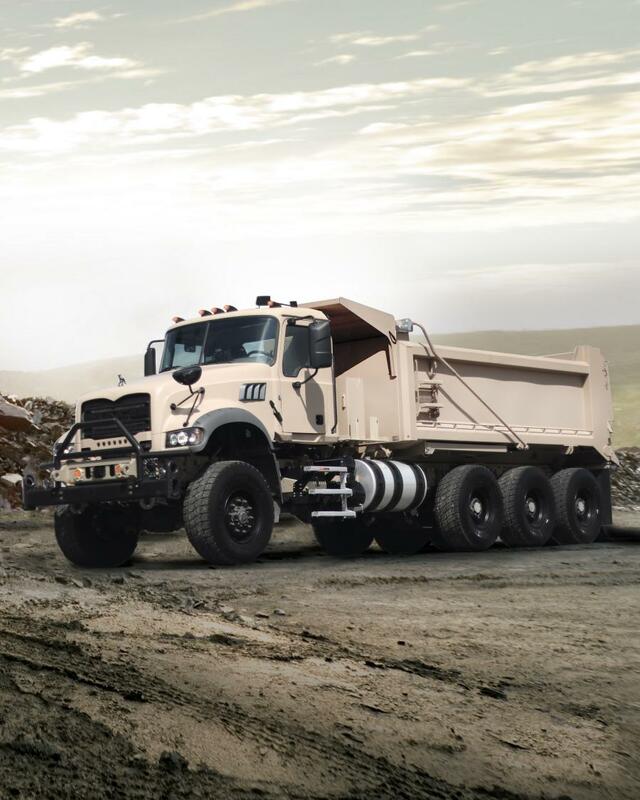 Mack Defense engineers added heavier-duty rear axles and all-wheel drive, while increasing the suspension's ride height to create a heavy dump truck capable of meeting the demanding payload and mobility requirements set by the U.S. Army HDT program. The M917A3's cab armor was engineered by external partner experts to maintain all the comfort and driver-focused amenities of the commercial Granite model, while adding force protection to keep occupants safe in hostile environments. Mack Defense is a member of AUSA, whose vision is to be the premier voice for America's soldiers. AUSA is committed to building the best professional and representative association for the U.S. Army. More than 30,000 attendees visited AUSA and the 700 exhibitors representing 100 countries around the world. Mack Defense, a wholly owned subsidiary of Mack Trucks, is responsible for the sale of heavy-duty trucks to federal- and ministerial-level customers globally. For more information about Mack Defense, visit www.mackdefense.com.